Brie Larson is playing Carol Danvers, the hero in the upcoming Captain Marvel from the Marvel Cinematic Universe, and the movie marks the first female superhero standalone film from Marvel Studios. Larson has been fighting for inclusivity and even requested to be interviewed by a disabled journalist. During the interview, Larson revealed how she noticed there were a lot of white men during press events, and now she is actively trying to advocate for more women of color to be present. The USC Annenberg Inclusion Initiative’s focus is to study inclusion and diversity in entertainment. A study it conducted revealed that out of 19,559 reviews for Rotten Tomatoes’ 100 highest-grossing movies in 2017, 63.9% reviews were from white men, 18.1% from white women, 13.8% from men of color, and 4.1% for women from color. The film is directed by Anna Boden and Ryan Fleck and written by Boden, Fleck, Geneva Robertson-Dworet and Jac Schaeffer from a story by Nicole Perlman (Guardians of the Galaxy), Joe Shrapnel, and Anna Waterhouse. It stars Brie Larson as Captain Marvel, Samuel L. Jackson as Nick Fury, Ben Mendelsohn as Talos, Djimon Hounsou as Korath, Lee Pace as Ronin, Lashana Lynch as Maria Rambeau, Gemma Chan as Minn-Erva, Algenis Perez Soto as Att-Lass, Rune Temte as Bron-Char, McKenna Grace as young Carol Danvers, Clark Gregg as Agent Coulson and Jude Law as the Starforce Commander. 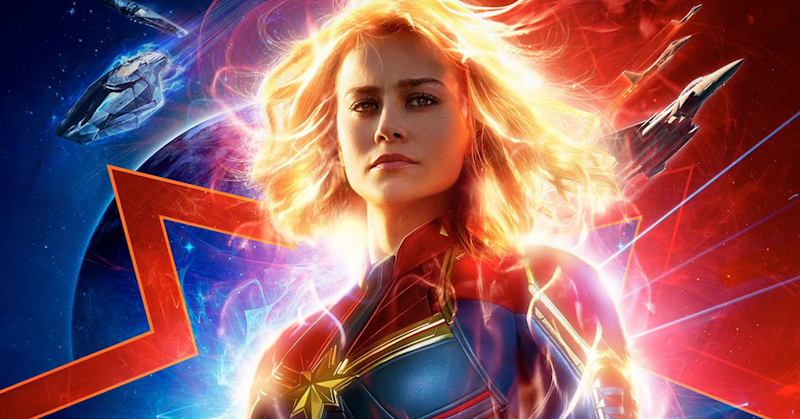 The post Captain Marvel’s Brie Larson wants more inclusiveness for press events due to majority white men appeared first on Nerd Reactor.